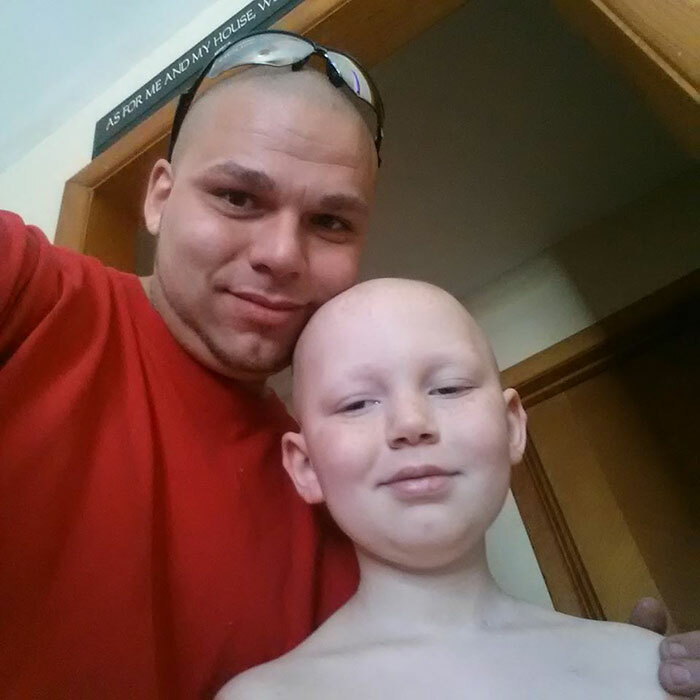 When young Gabriel Marshall from Kansas, US, was diagnosed with a malignant brain tumor in March 2015, the resulting surgery left him with a sizeable scar on the side of his head. 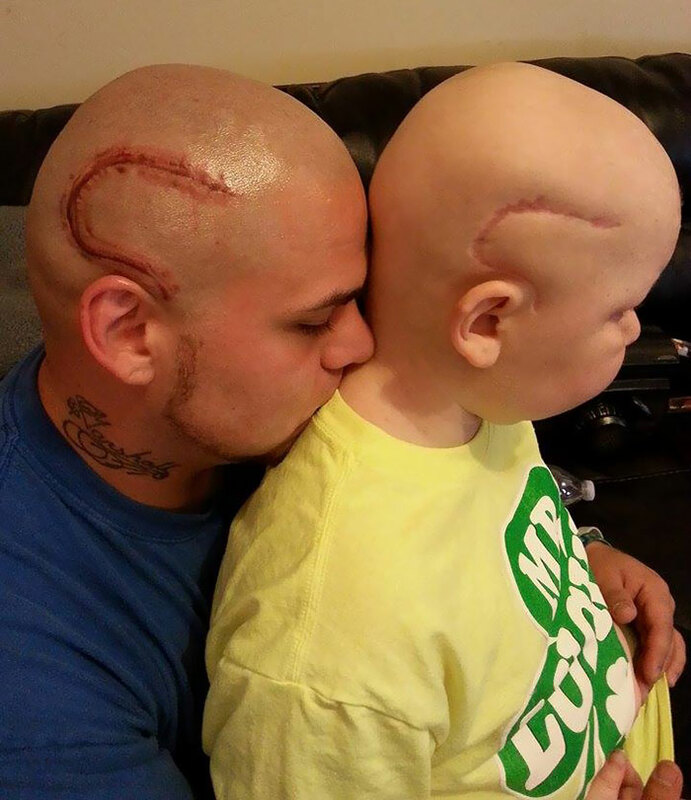 So to boost his son’s confidence, Gabriel’s father Josh “J-Mash” Marshall decided to do the most amazing thing: he got his son’s scar tattooed on his own head to show his solidarity in the most beautiful way possible. “Wow I never imagined this picture would blow up like it did,” wrote Josh on his Facebook page. The image has recently gone viral as people everywhere show their respect for this truly inspirational father and his brave son. It originally appeared on an Instagram account called Aesthetic Revolution alongside a caption that reads: “One’s a real scar. One is a tattoo to show support and make him feel normal. Father of the year?” We don’t think there’s any question about that. 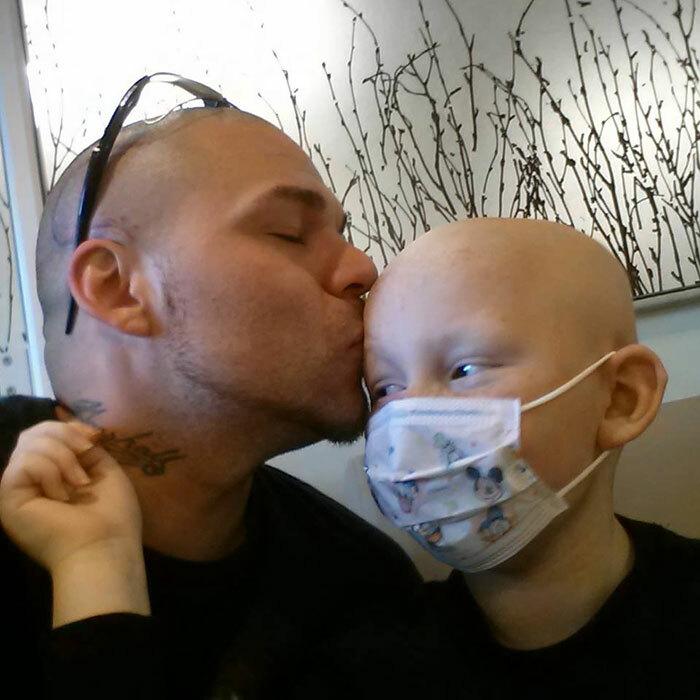 Click here to see another dad who got a tattoo to help his daughter.